We supply the latest environmental meters from leading suppliers Extech & Di-LOG. Extech clampmeters and moisture meters integrate with FLIR buildings thermal imaging cameras. View our full range of environment meters. 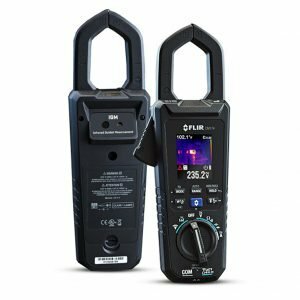 If you are a maintenance technician working in power plant, substation or even a factory then the FLIR CM174 would make a good addition to your toolkit. 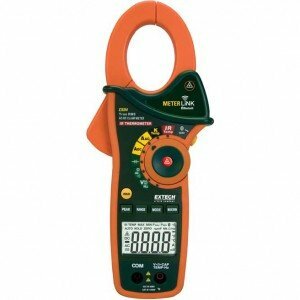 This unique combination of thermal camera and clamp meter is just ideal for preventative maintenance on high power electrical circuits. €499.00excl VAT€613.77incl VAT Free Delivery! 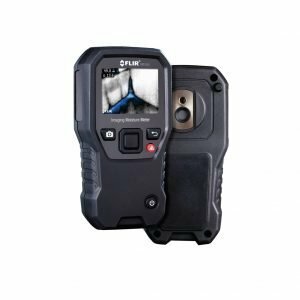 Accurate and quick response time make the FLIR MR77 a solid tool that is capable of measuring surface temperature, humidity and moisture levels. The unit features easy interface for simplified operation. €599.00excl VAT€736.77incl VAT Free Delivery! 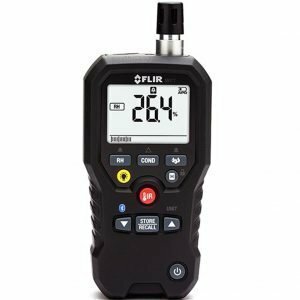 Thanks to the exceptional built quality and vast array of dedicated functions the FLIR MR160 Imaging Moisture Meter is capable of marking the trouble area quickly and efficiently. 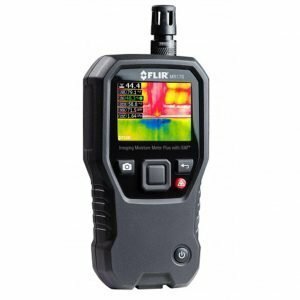 Simple but very effective – the FLIR MR176 Thermal Imaging Moisture Meter allows to take humidity/moisture levels reading and take thermal images of the afected areas. Then you can transfer the results to the PC using USB connectivity. €999.00excl VAT€1,228.77incl VAT Free Delivery! 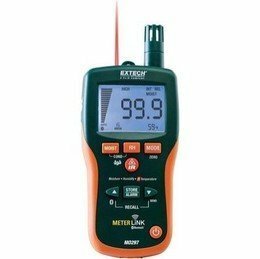 The Extech MO297 Moisture Meter allows for quick indication of the moisture content within many types of building materials. €545.95excl VAT€671.52incl VAT Free Delivery! Thanks to the Bluetooth connectivity and the built in IR thermometer the Extech EX845 Clamp Meter is a smart device that is well worth considering when buying multi function clamp tester. €290.00excl VAT€356.70incl VAT Free Delivery!